On April 16, the 89th AAU Sullivan Award winner will be announced. This prestigious award has been given out annually to the nation’s top amateur athlete since 1930 and is the perfect way to recognize the players who entertain, inspire and motivate us the most. One of these outstanding finalists will join an incredible group of past winners that includes Peyton Manning, Bill Walton, Shawn Johnson, Missy Franklin, and Michael Phelps. Get to know each of this year’s nominees by looking through our slideshow of finalists and cast your vote here. Then, tune in on April 16th to find out who takes home the 89th AAU Sullivan Award! A past AAU Sullivan Award semifinalist, Foecke concluded her Husker career with AVCA First-Team All-America honors after leading the team with 3.86 kills per set and 2.65 digs per set, along with a team-high 46 service aces. 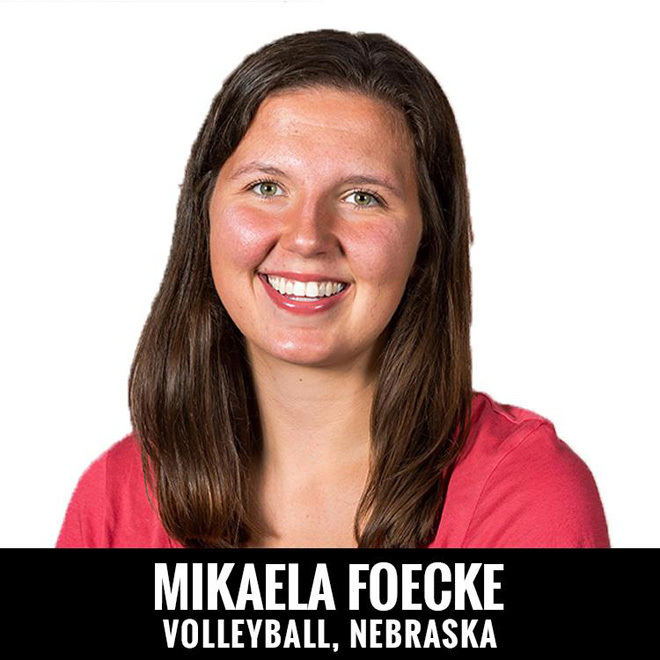 Foecke finished her Husker career with a 21-2 record in her NCAA Tournament career after a runner-up finish in 2018, playing in more sets and matches and winning more NCAA Tournament matches than any player in Husker history. 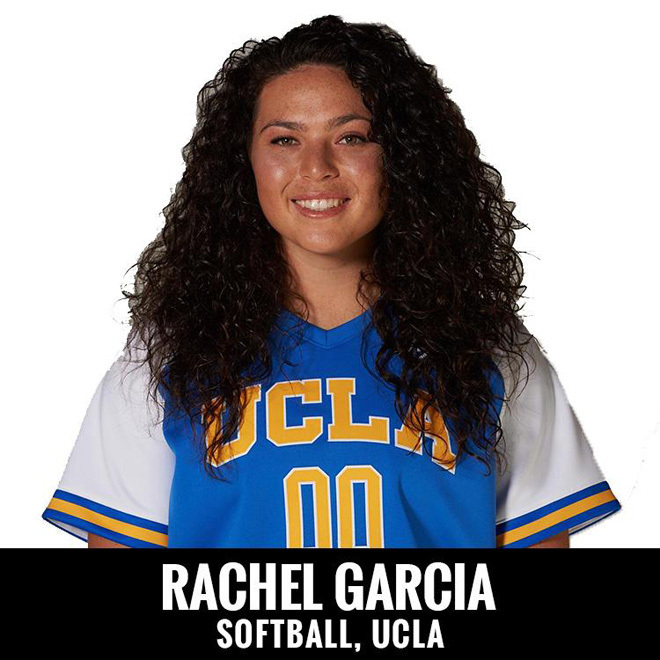 Rachel Garcia had a tremendous 2018 with UCLA and Team USA softball. After redshirting due to injury in 2016 and being named National Freshman of the Year in 2017, Garcia was recognized as the USA Softball, NFCA and ESPNW National Player of the Year, as well as the Honda Sport Award winner for softball, in 2018. She was also named Pac-12 Conference Player of the Year, NFCA First Team All-American, NFCA First Team All-Region and All-Pac-12 First Team. Garcia was fourth nationally in strikeouts (315), tied for fourth in wins (29) and 16th in ERA (1.31). 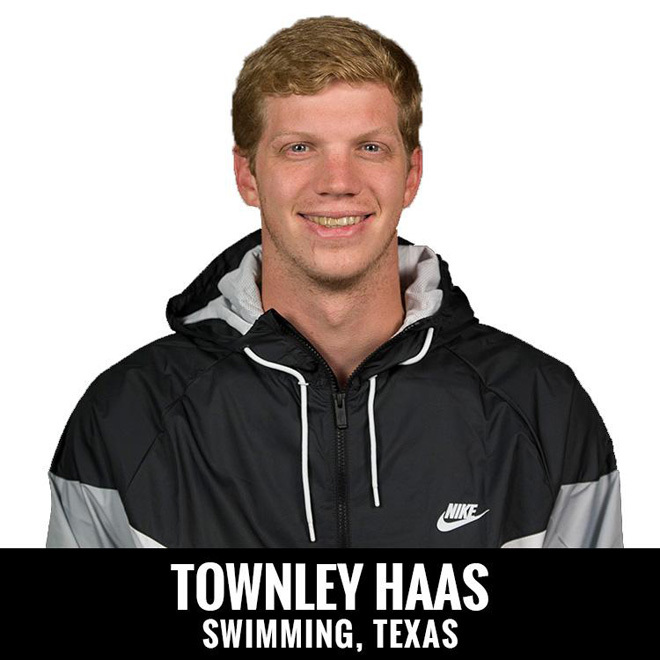 As Haas prepares for his final NCAA Championship as a senior leader of the 4x defending National Champion Longhorns, he earns his 2nd Big-12 Conference Men's Swimmer of the Year honor. A 15-time Big 12 Champion and 14-time All-American, Haas has earned NCAA National Championships in the last three seasons. In 2018, he took home the 200 freestyle and 500 freestyle gold. In 2019, he's already nabbed gold in the Big 12 in the 200 and 500 again, the fourth straight year in the 200. 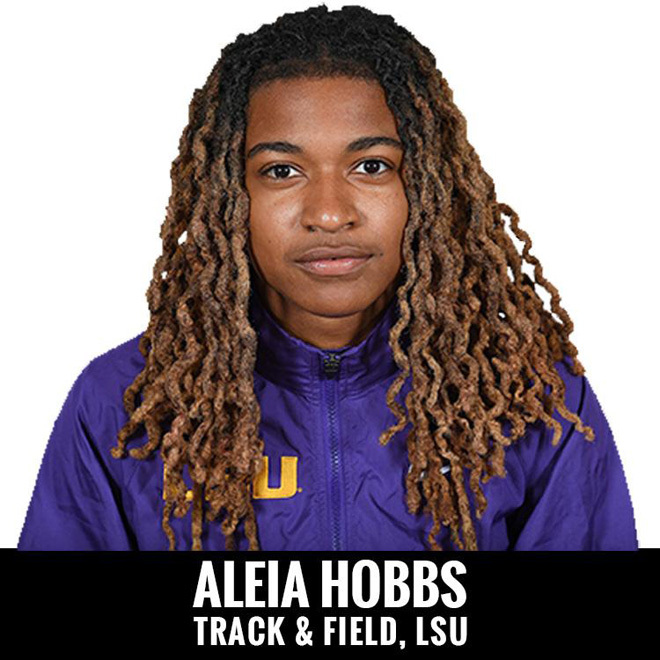 The first female collegiate athlete to win the 100 meter dash at the USATF Championships, Hobbs also won three NCAA titles in 2018 in the 60 meter dash (indoors), 100 meter dash (outdoors) and 4x100 meter relay (outdoors). She held the five fastest U.S. marks in the 100 meter dash in 2018 and did not lose a race during outdoors in her primary events (100m dash/4x100m relay) en route to a perfect 16-0 record. Hobbs ran four of the eight fastest 100 meter dash times in collegiate history in 2018 with a season best of 10.90 and set the collegiate record in the 60 meter dash (7.07) at the NCAA Indoor Championships to claim her first-career national title. Morgan Hurd was born in China and adopted as a child by her mother, Sherri Hurd. She is known for her big smile and competing in glasses, which was inspiring to many bespectacled kids after Morgan won the World all-around title in 2017. Morgan is also an avid reader and hearing from her favorite author, JK Rowling, after that title was a moment of excitement. 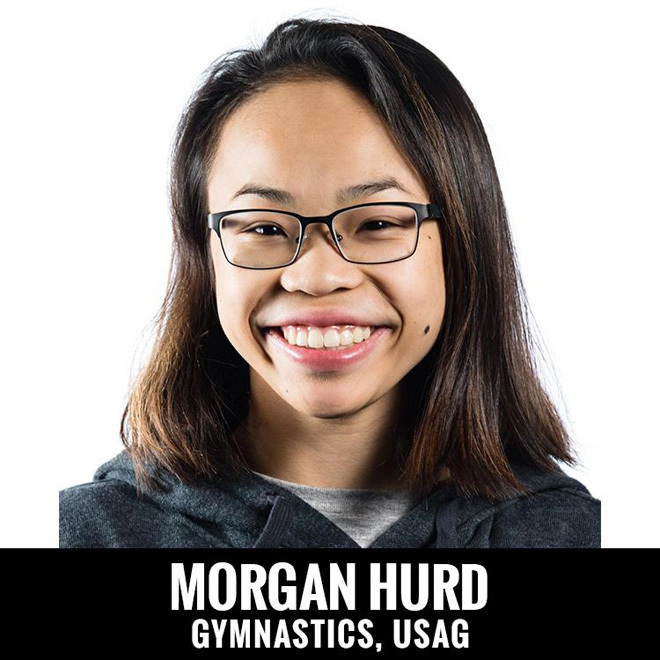 In 2018, Morgan began the competitive year by winning the women's title at the American Cup, the USA's most prestigious international event, and ended the year with the World team gold medal and the floor exercise silver and all-around bronze. Morgan has been ranked in the top three in the World for both 2017-18, which are the two years she has competed on the senior level. The team captain, he is averaging a double-double at 14.9 pts and a team-high 10.0 rebounds per game. Last year, he started every game and earned All-ACC and All-ACC Tournament honors. He was named the ACC's Most Improved Player and claimed third-team All-America honors. 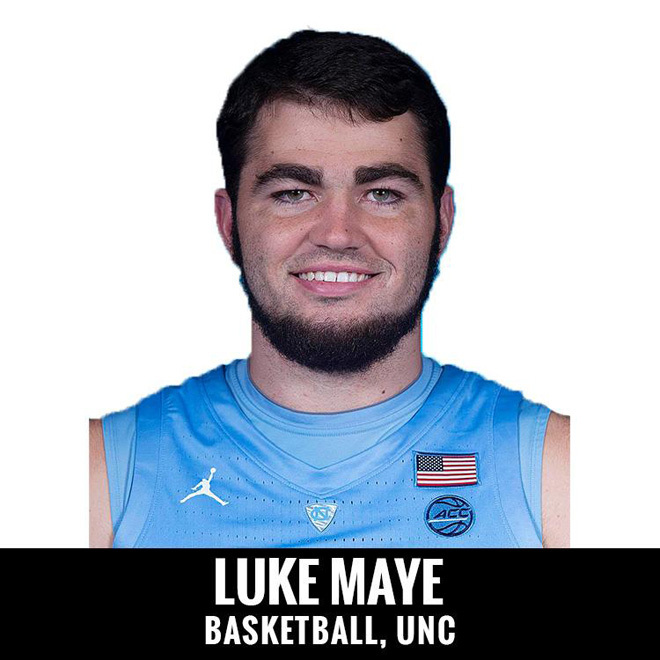 As a senior, he headed into the season as the Preseason ACC POY, now a finalist for the Naismith Player of the Year and the Karl Malone Award as the nation's top power forward. He recently led the Tar Heels to a win at No.1 Duke, becoming the first in UNC history to score 30 pts on the home courts of both Duke and NC State. With 15 rebounds in the win, he became just the second player in NCAA Division I history to have at least 30 pts and 15 rebounds in a win over a team ranked No.1. The American Athletic Conference Player of the Year for the second year in a row, Milton’s horrific leg injury suffered late in the 2018 season sparked talk amongst the world of college football. 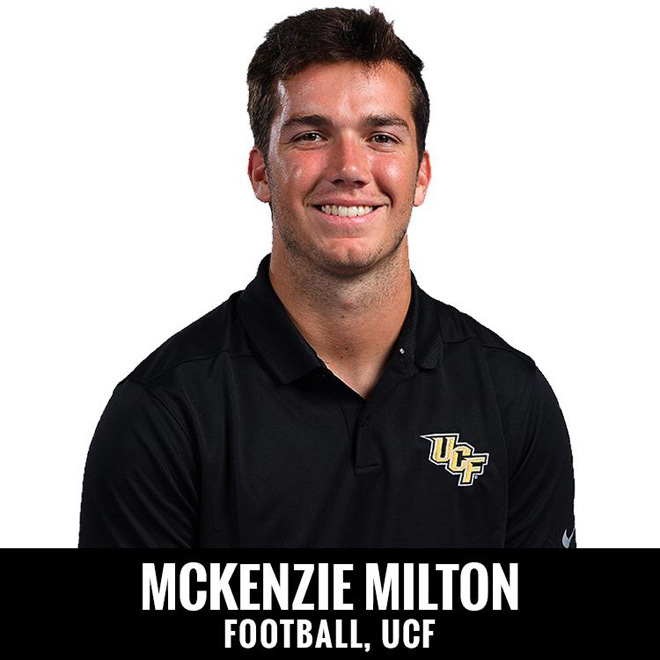 Coming off an already undefeated season in 2017, Milton was poised to continue to lead the charge and continued perfect record for UCF into the postseason again, before his season ending injury. The reaction around the nation showed how much he is revered, appreciated, and supported, with fans across the nation plastering 10hana everywhere – a mix of #10, his jersey number, and ohana, the Hawaiian word for family. On top of winning a NCAA National Championship, Plummer was also named the AVCA Player of the Year, ESPNW Player of the Year, Volleyball.Mag Player of the Year, Pac-12 Player of the Year, AVCA Pacific North Region Player of the Year and The Honda Sport Award Winner for Volleyball. She was named to the AVCA All-America Frst Team, VolleyballMag.com All-America First Team, AVCA All-Pacific North Region First Team, All-Pac-12 Conference First Team, and the NCAA All-Tournament Team, along with being named the Co-MVP of the NCAA Tournament. 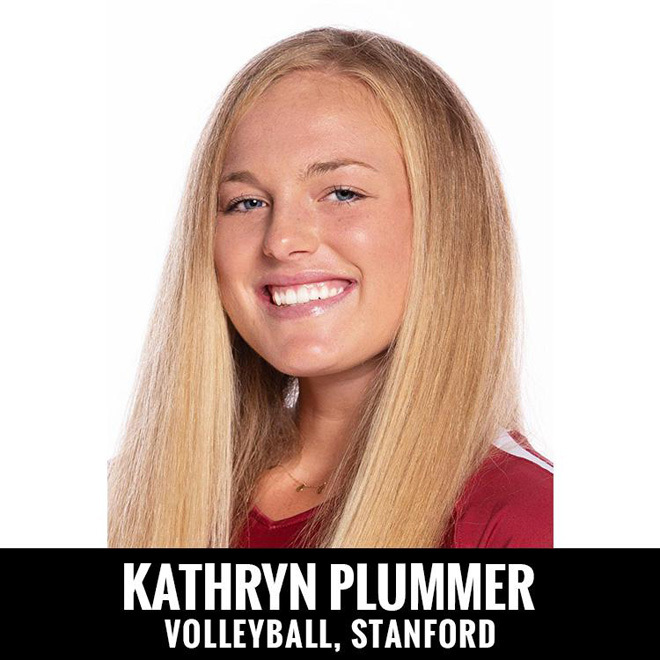 The Stanford Regional Most Oustanding Player, Plummer was named AVCA Player of the Week and the Pac-12 Offensive Player of the Week (3x) during the season.